House Republicans released a tax reform plan Thursday that would eliminate a tax break for Americans with student debt. The student loan interest tax deduction saves people as much as $625 a year, though most see a smaller benefit. 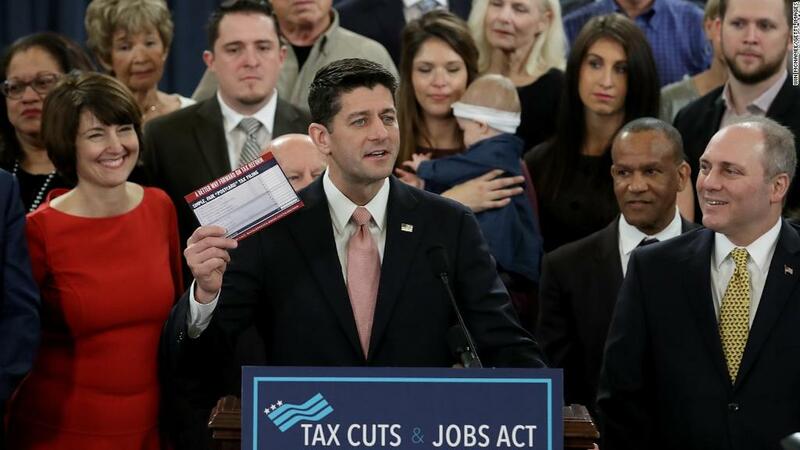 The sweeping legislation was described by House Speaker Paul Ryan as a series of tax cuts aimed at helping most Americans. But it eliminates or limits some tax deductions and exemptions to fund those cuts. The student loan interest tax deduction is just one on the chopping block. The bill still needs to be approved by both the House and Senate, and signed by President Trump, who has said it will be done "before Christmas." Here's how it currently works: Those eligible can claim up to $2,500 of what they paid toward the interest on their student loans, but not the principal. It's an "above the line" deduction that can be claimed without itemizing. But it's only available to borrowers with a modified adjusted gross income of less than $80,000 ($160,000 for married couples filing jointly.) The benefit is gradually reduced once you earn at least $65,000 (or $130,000 for couples). About 12 million people claimed the student loan interest deduction in 2015, according to the IRS. More than 40 million Americans have student debt. The student loan interest deduction cost the federal government $2 billion in foregone revenue during 2016, according to a report from The Pew Charitable Trusts. The cost has more than doubled since 2007 as student loan balances grew, even though the maximum deduction ($2,500) hasn't changed since 2001, the report said. Still, it costs less than the American Opportunity Tax Credit. That allows families who are paying for college out-of-pocket to claim up to $2,500 per student. The benefit, which cost nearly $18 billion in 2016, would be preserved under the House Republican plan. Even if the federal student loan interest deduction is repealed by Congress, you may still qualify for a state deduction. Thirty-seven states and D.C. offer a similar benefit, according to The Pew Charitable Trusts. The House bill also proposes nearly doubling the standard deduction. It would raise it for singles to $12,000 and for married couples filing jointly to $24,000.